Get Involved in NEXT: The deadline to apply for an invitation to the NEXT workshop has passed. But community input to the workshop is still welcome – the application form will remain open through 15 April 2019 to allow community members who are not able to attend to submit statements on their priorities for the future of ocean drilling. See Workshop Participation, below, for more information. Questions? Contact Anthony Koppers or Jim Wright with questions about the workshop. Contact USSSP with questions about the online application or support. Discoveries from scientific ocean drilling through the DSDP, ODP and IODP programs have helped reveal Earth’s history and have been critical to shaping our understanding of how our planet works. But although results from scientific ocean drilling have never been stronger, addressing future challenges in the Earth sciences will require new strategies and improved technologies that are not currently available on the JOIDES Resolution. The United States has formed a 17-person Steering Committee to lead the U.S. planning for the post-2023 period in scientific ocean drilling. The committee seeks broad input and support from the U.S. and international communities to consider the scientific plan and future platform needs. Similar efforts are being undertaken by other IODP members and consortia. In September 2019, during the IODP Forum Meeting in Japan, the international community will begin formulating strategies for a new or updated science plan and to articulate overall platform needs. 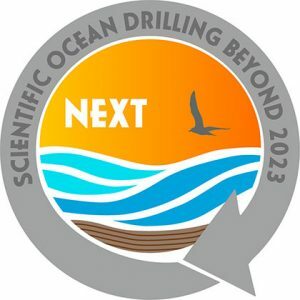 In order to facilitate U.S. planning, a workshop, entitled “NEXT: Scientific Ocean Drilling Beyond 2023” will take place in Denver, CO on May 6-7. The NEXT workshop will convene approximately 120 IODP community members to develop the U.S. plan for continued scientific ocean drilling without a hiatus at the end of the current program. Progress is being made on plans to replace the JOIDES Resolution with a modernized, more capable non-riser drilling vessel to help accommodate the transition to a long-term future in scientific ocean drilling. The goals of this workshop are to: (1) update existing scientific challenges and identify new challenges to be included in a post-2023 science plan; and (2) identify and prioritize the required technologies and platform needs to enable the scientific ocean drilling research community to address those challenges in a new ocean drilling program. The end product will be a document that will be shared with our international partners and the National Science Foundation. This workshop report will also serve to inform other stakeholders such as the deans or directors of our research institutions and our elected representatives in the U.S. Congress. Although space is limited at the workshop, it is important to hear all voices and ideas. Therefore, pre-meeting webinars, and possibly live streaming of the workshop, will be available to those who cannot attend. The Steering Committee welcomes insights from any member of the IODP community, regardless of workshop attendance. For details on how to provide input, please see the Workshop Participation tab. The meeting will be held May 6-7, 2019 at the Curtis Hotel in Denver, Colorado. Approximately 90-100 U.S. and 20-30 international participants will be invited. Looking beyond 2023, what current IODP Science Plan challenges need to be modified or expanded? How and why? What new scientific challenges should be formulated in the next IODP science plan? What is needed in a new U.S. riserless drilling vessel (from coring to shipboard analysis) to answer these new or updated challenges? The application package includes: (1) an application form requesting responses to the three questions above, as well as a two-page CV and (2) a demographics form. Application packages can be submitted via the USSSP Application Portal by clicking the Submit Application button at the bottom of the application task list, once all tasks have been completed. Please contact the USSSP Office if you have any questions during the application process.